I've been listening to the Girl, Have You Read podcast and I picked this book up so I could read-along with the ladies. 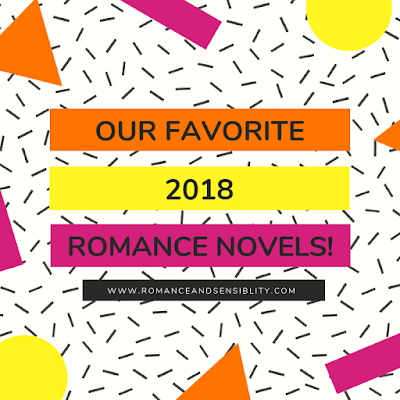 I went into this book not knowing anything about it, I thought it would be kind of soapy (as categories are want to do) but it's actually a cute romantic comedy. When model Lola Gray is replaced as the face of her late mother's cosmetic company, Espresso Cosmetics, she sets out to find the next big thing for herself. But on her drive to New York City she ends up in the small town of Cooper's Place, Ohio where a misunderstanding with a small town rookie cop puts her on trial...and in the arms of police chief Dylan Cooper and they have a few...heated moments. This book is just a sweet romance and it fits right into my genre kryptonite of small town romances. Bourne really brought the town alive. I thought the hero and heroine had great chemistry and Dylan was a great hero who understood what Lola needed. That said everything felt really rushed. The only things that kind of bothered me was that one of the reasons Espresso Cosmetics lets Lola go is because they are replacing her with a drag queen. It's a recurring joke in the book and the whole female model being replaced by a “man in a wig” started to feel really unfunny. Also the ending...I didn’t buy it. At all. Also I’m going to gripe abut the cover. 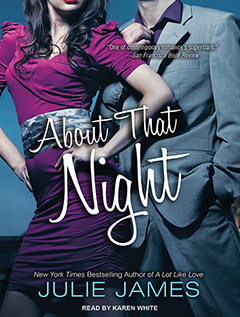 Now listen, I’m new here, but you cannot tell this is a romantic comedy from the cover. I think it should have something like a Julie James' audiobook covers. Or you know what...I’m going to say it; bring back the illustrated covers. I liked some of those ! I’m just sayin’....Although I do think they chose this one because it has a pool and there is a big scene with a pool. I had to look into this drag queen as cosmetic company spokesperson, because to me it legit seems like a good idea and it turns out RuPaul was a spokesperson for MAC cosmetics for a while. This is my first Beverly Jenkins novel and going in all I really knew is that Jenkins is the Queen Bee of Black historical romance.This new series starts off with Eddy Carmichael, a young cook who heads west with nothing but her cooktop and dreams of owning a restaurant. She gets almost there by legit relying on "The kindness of strangers" until one of those strangers leaves her stranded in the desert. Eddy is rescued by a White republican and well known saloon owner, Rhine Fontaine. Rhine has been good to the black community of Virginia City but what no one knows is that Rhine Fontaine is a former slave, passing as white. I think it goes without saying the real star of this book is Jenkin's version of 1870's Virginia City, NV a small town filled with a colorful cast of characters. Virginia City is far from a romancelandia-utopia when it comes to post-Civil War race relations. The struggle is actually real for Rhine. While he gains the dignity and power he coveted when he was his father's slave, he begins to realize he has lost the ability to have a real community and family. He can't fully participate in black life and he feels like an outsider in the white world. Honestly one of the reason I kept reading this book because I was wondering how an HEA could work when Rhine has so much against him. I found the ending bittersweet in a way. I think I would have wanted to see more courtship between characters which I imagine was a challenge considering the big wall between them. The steamy scenes felt like they were thrown in because it's a romance and were not well incorporated in the story. I don't generally read American Historical but something about this reminded of the mid 1800's historicals I read as a kid. You know about the good ol' days when oranges were a BFD. Speaking of oranges, this book is also about food and what good food can do for people. Eddy enchants the town with her cooking and there is a wonderful sense of community whenever people are gathered to eat. I think it's interesting to note that while Rhine is passing he can't sit down and eat with Eddy. I think Jenkins uses this to set the tone the novel. I kept having a hard time picturing Rhine because that cover model's hair is nothing like Rhine's. 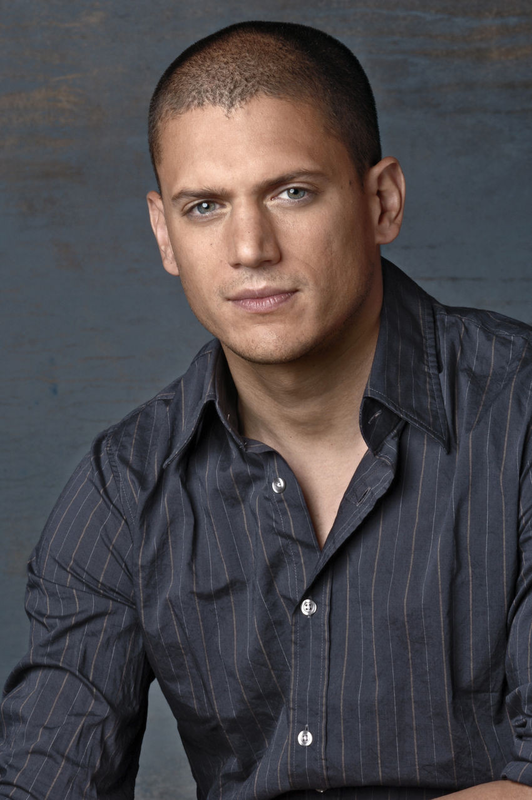 But K.C told me about Wentworth Miller, a mixed-race actor who stared in Prison Break as a white character. His green eyes and dark hair make him a good picsipration for Rhine. Last Fall I stopped by a library book sale and didn't really see anything that sparked my attention. 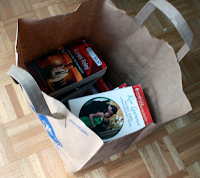 Then under a table I noticed a brown paper bags filled with Harlequin series (or category) romances. The entire bag was on sale for three dollars. 1 brown bag. 46 romances. 3 dollars. 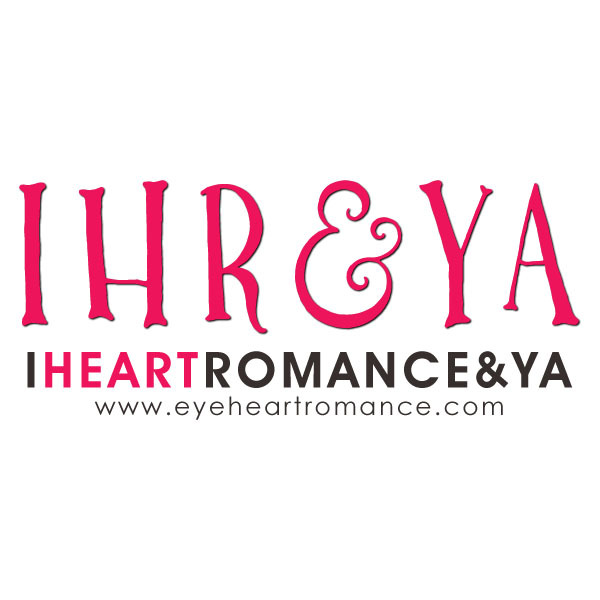 Since we do have a romance blog and the sale was almost ending I thought. . . why not ? So, I bought a brown bag of 46 Harlequin categories. Now I'm challenging myself to read and review all 46 books on this blog ! 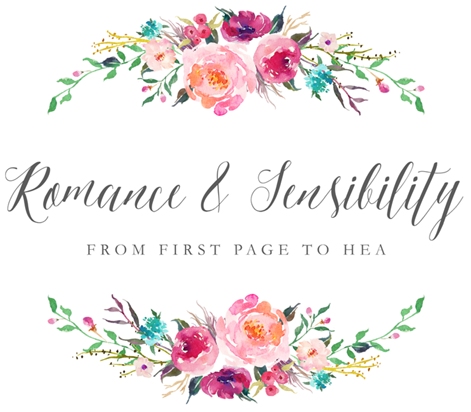 Before I started this challenge I decided to learn more about series romances. From what I understand series romances are shorter romances usually written to specific guidelines and tropes; billionaires, cowboys, secret baby etc. Harlequin.com has info on what editors look for and what readers can expect in each series line. 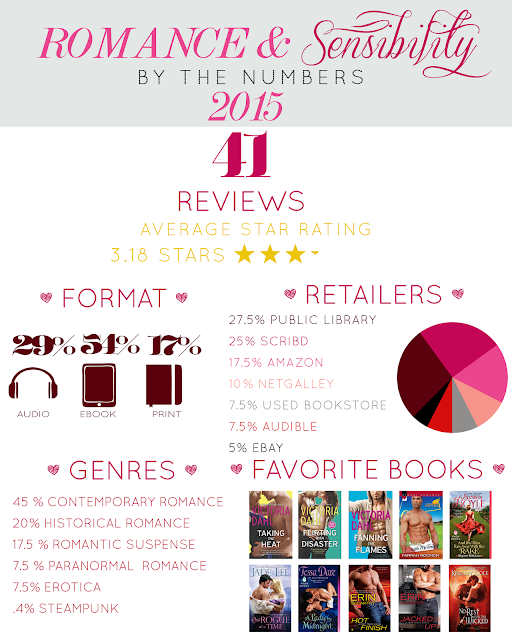 Just in time for this post, Harlequin just released this fun infographic that lets you know how much each of their categories sizzles ! 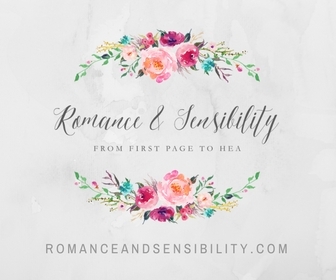 It's the beginning of a new year and we wanted to take the time to go back and look at what we've reviewed here on Romance and Sensibility in fun infographic form !